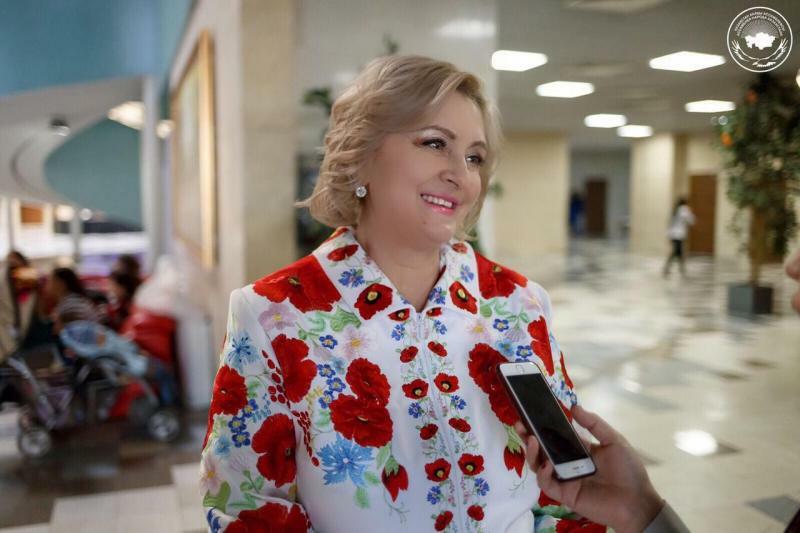 NUR-SULTAN – Representatives of different ethnicities live in peace and harmony in Kazakhstan, with opportunities to preserve their traditions, customs and language, and share them with other members of society, said Tamara Shirmer, head of the capital’s Obereg Ukrainians’ Community. 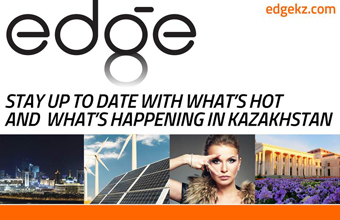 “We are proud that fate has given us the opportunity to live in such a beautiful country, where everyone, regardless of nationality or social status, can learn, work and develop their language, culture and traditions,” she told assembly.kz, the website of the Assembly of the People of Kazakhstan. Tamara Shirmer. Photo credit: assembly.kz. The community, created in 2003, develops and preserves Ukrainian language, culture and traditions. “It was an important decision for Ukrainians living in the capital. There were native speakers and culture and traditions bearers who united to preserve the ethnic integrity and spiritual values of the people of Kazakhstan and the formation of a common culture,” she noted. “The name of the community contains an important meaning. Obereg (charm) protects from anything. The goal of our activities is to protect the native language from extinction, to preserve traditions and customs, the culture of the Ukrainian people, to foster Kazakh patriotism and to strengthen the unity of the people of the country,” she added. The community and 10 regional Ukrainian Ethno Cultural Centres are members of the Rada of Ukrainians of Kazakhstan. Since 2006, the society has been a member of the World Congress of Ukrainians. “On his first trip, the newly elected Chairperson of the World Congress of Ukrainians Mikhail Ratushny went to Kazakhstan. He visited Kazakhstan for the first time and took part in the International Festival of Ukrainian Folk Art as an honoured guest,” said Shirmer. The community keeps in touch with the Ukrainian diaspora around the world, Birlik Kazakh community in Kharkov, Taras Shevchenko National University of Kyiv and Shevchenko National Reserve in Kanev. 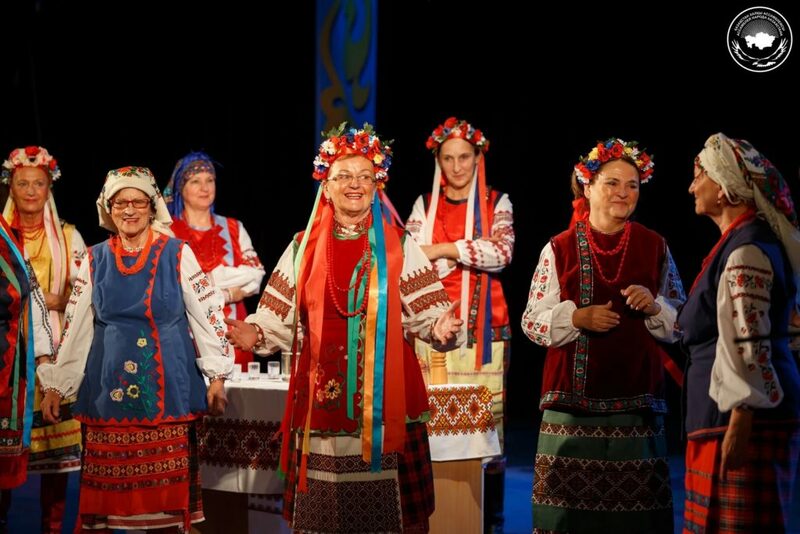 The community offers classes where students study Ukrainian traditions, customs and language, and organises music, decorative arts, choreography and puppet theatre classes. “It is symbolic that 2008 was declared the Year of Ukraine in Kazakhstan and it was in February of that year when the Ridne Slovo Ukrainian Sunday ethno-linguistic school began its work. The main goal of the school is to enable students of different nationalities to study the history and culture of the Ukrainians and to instil in students an understanding of human values and morality,” said Shirmer. The society closely cooperates with the Ukrainian Centre of Science and Culture of the Rada of Ukrainians of Kazakhstan at Lev Gumilyov Eurasian National University, annually organising the International Shevchenko readings and roundtables for significant and memorable dates in Kazakhstan and Ukraine. “Together with the Rada of Ukrainians of Kazakhstan we hold international and national festivals of Ukrainian folk art, ethnic fashion marathons, various exhibitions and creative evenings dedicated to the memory of the famous poet who united the Kazakhs and Ukrainians – Taras Shevchenko,” she noted. The community’s vocal and choreographic group is named after Nikolai Litoshko. “The repertoire of the group is extensive; it is selected from the best songs of the Ukrainian song heritage… The creative team performs with a charity programme in the Medical and Social Institution for the Elderly and Disabled, the Centre for Motherhood and Childhood, the SOS Astana Children’s Village and other concerts,” said Shirmer. The works of the community’s Bereginya creative team are exhibited in the House of Friendship in the capital. The exhibition includes household utensils, motanka dolls, embroidered towels and paintings and various objects of decorative and applied art. The team participated in many international, national and city exhibitions, winning awards. In addition to handmade items, the team prepares various dishes of Ukrainian cuisine. “In Ukraine, flour products such as pampushkas (donuts), cakes and dumplings are popular. Also, the team cooks products and dishes with meat, vegetables and dairy products. One of the favourite drinks in Ukraine is compote – a decoction of fruit or dried fruit (called vzvar (brew)). Ukrainian borscht is especially popular. Salo (cured fatback) and borscht are kind of culinary symbols of Ukraine,” she said. The community is actively involved in cooperating and assisting in charity events for SOS Astana Children’s Village, where children without parental care live and study. The community also provides targeted charitable assistance to children with disabilities and conducts charity events for veterans and the elderly. For its activities, the community was awarded appreciation certificates and gifts from the SOS Village of Austria and SOS Astana Children’s Village corporate fund. Charivni Dzherela, the youth party created in July 2005, operates in the community to encourage youth to be active members of society. The party organises workshops and seminars on arts and crafts, flash mobs, sports competitions and concerts. It also implements long-term social ventures such as the Give Happiness to Children social project and International Social and Ecological Action project on World Cleanup Day.